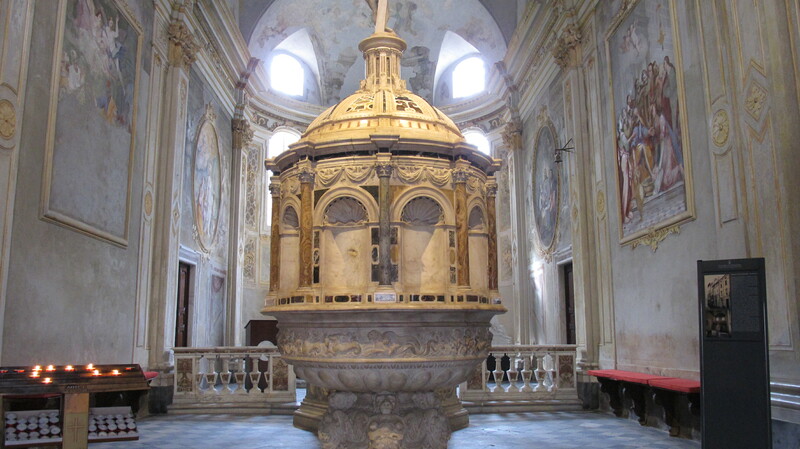 A few kilometres south of Forte dei Marmi on the Versilia coast is Pietrasanta. When we can drag ourselves away from FdM we like to stroll around this quaint little town. 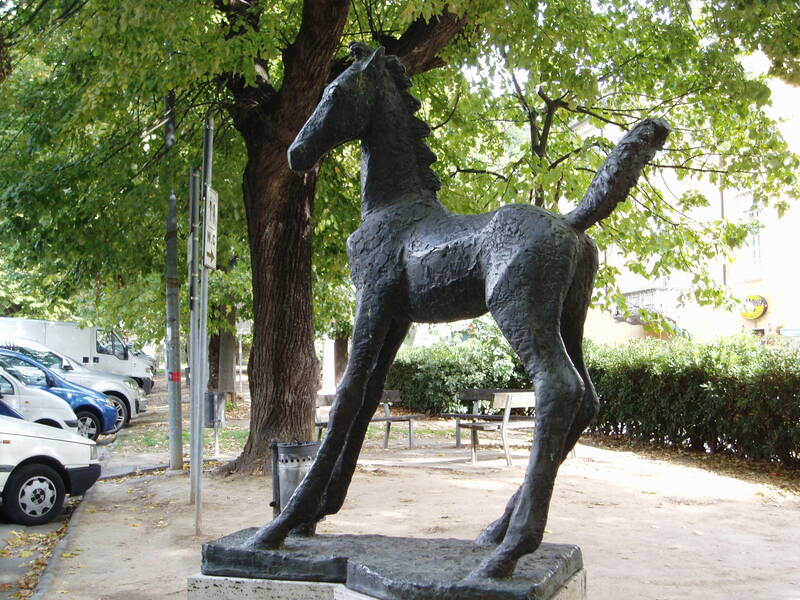 It has been popular with artists forever and there are lots of foundries nearby. 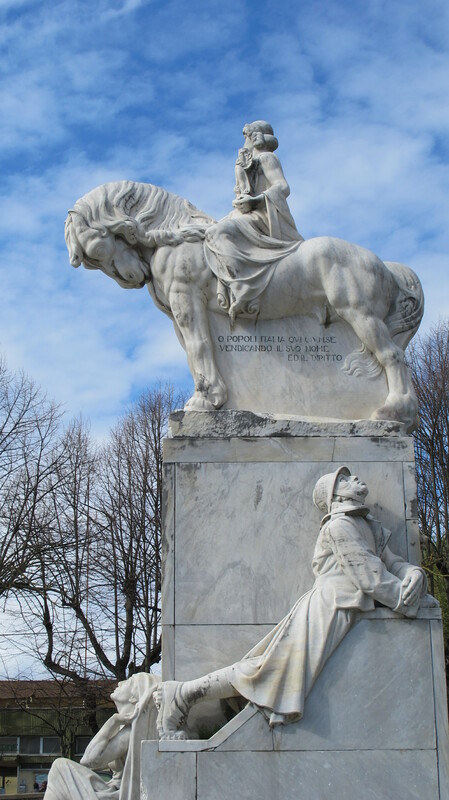 The area is, of course, famous for its marble so it is possible to see fabulous sculpture all over the town. 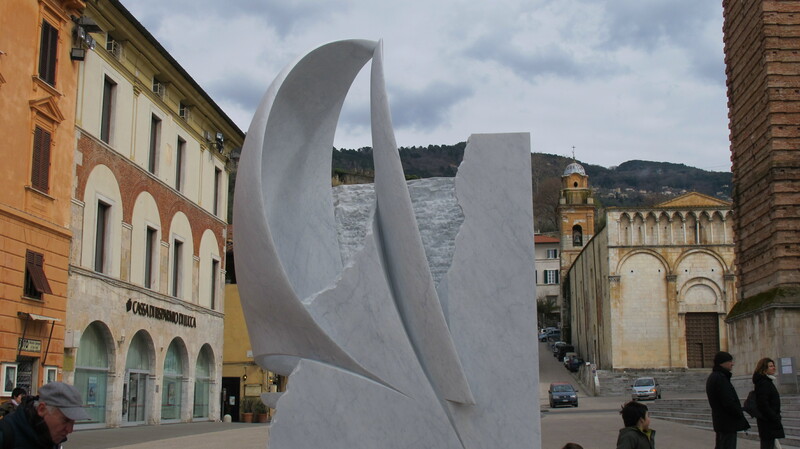 The town is divided into Marina di Pietrasanta where you can wander through huge pine woods or enjoy the beach and the part I like best, further inland, closer to the marble filled mountains. The town centre is quite small but the streets are lovely. 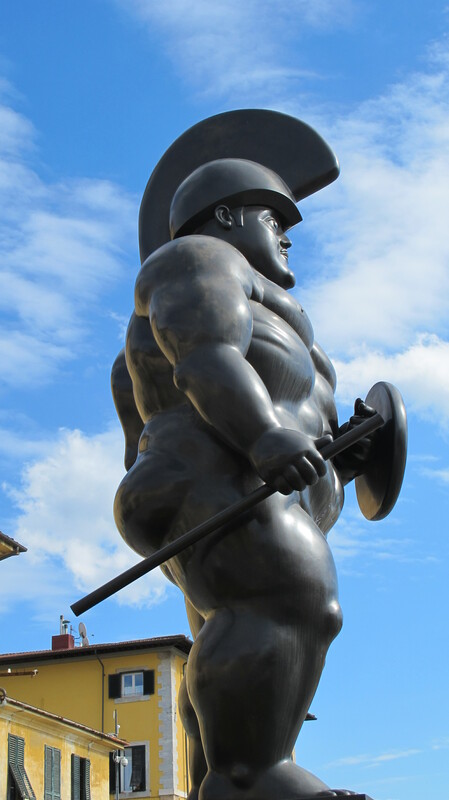 The main square is often filled with food or art and craft markets and there is usually an interesting large sculpture on display. The main street has wonderful shops, including “Memories” which is filled with the most beautiful pieces for your home. 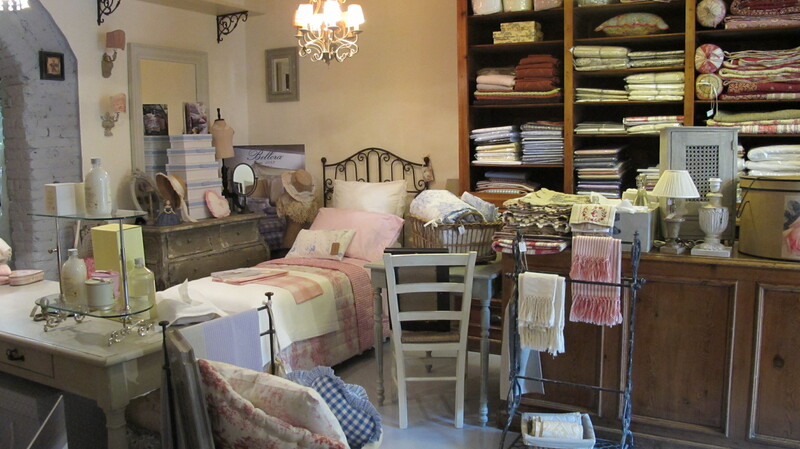 At the back of the shop, through a little garden is another room with lovely fabrics and sometimes antique embroideries. I always find it hard to leave without buying something here. Mac is an interesting clothing shop with a slightly alternate take on fashion. There is always lots of black and fairly sombre colours and the cuts are slightly off beat. They have great accessories. Further along is Zoe, which carries Marni and Dries Van Noten, 2 of my favourite labels. There is also a good selection of Missoni and accessories. 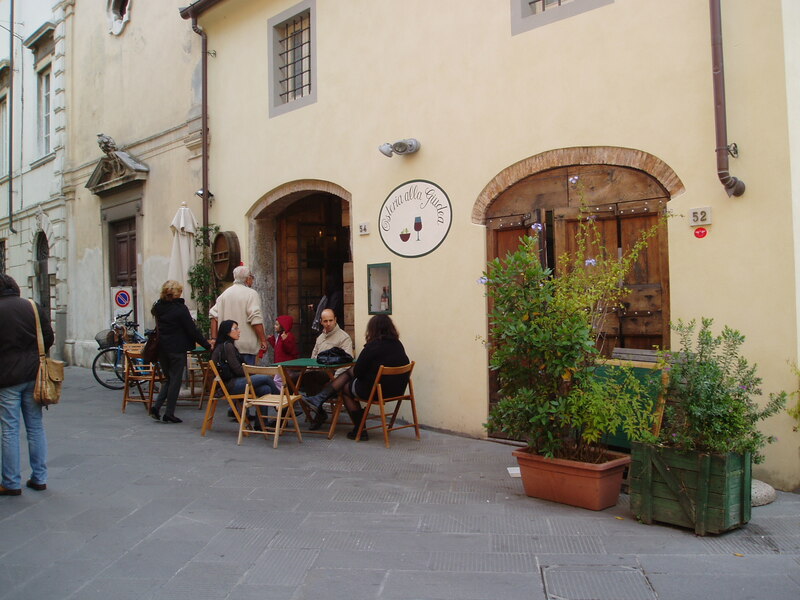 There are several good restaurants to choose from, but our favourite is Osteria alla Giudea, on the corner of Via Barsanti and Vicolo Lavatoi. 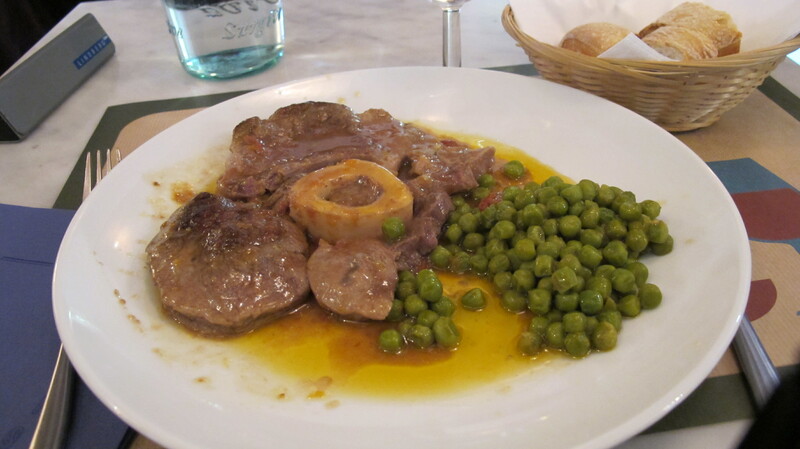 (ph 0584 71514) It has a great atmosphere, it seems to be always busy and the food is delicious. I particularly love their spaghetti with anchovies, osso buco and the stuffed cabbage. My trip to Italy is not complete without at least one lunch here. 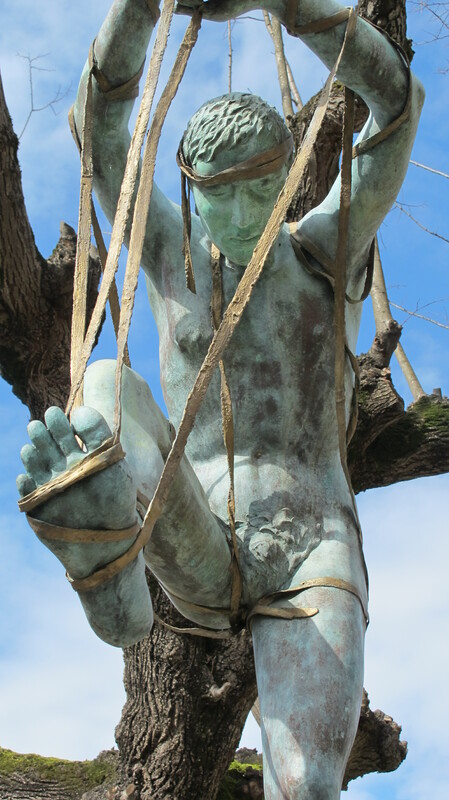 Pietrasanta practices siesta, which can be very annoying. We usually arrive at about 11.30am, which gives us just an hour to try to fit everything in before businesses close for a few hours. Even a long lunch still leaves you with time to fill before they are open again. 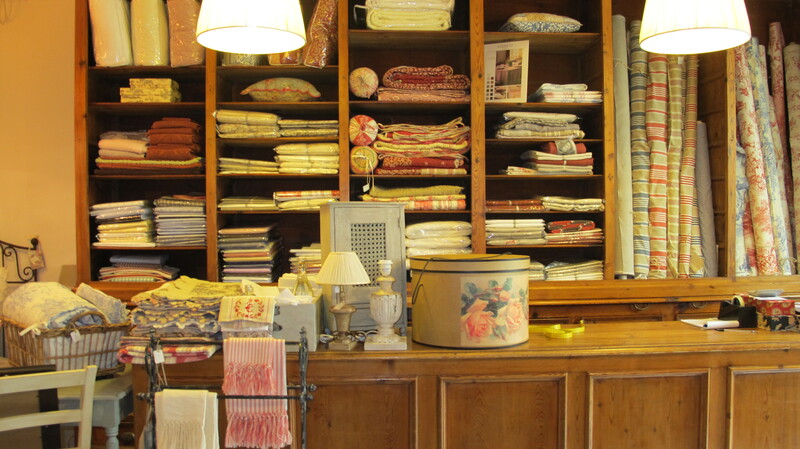 One day we will stay at the elegant Albergo Pietrasanta – Via Garibaldi, so we can be around to take part in the evening passeggiata and be up in time to make the most of morning shopping time. We looked in on a recent visit and the hotel looks delightful. 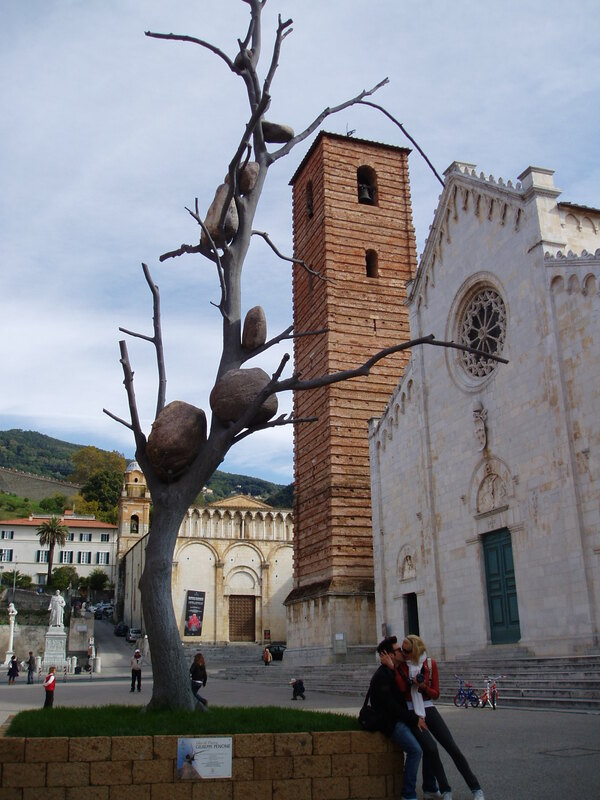 Pietrasanta is a lovely place to spend a few hours. Thank you. I hope you keep reading.